#Parzan_Dastur, who has acted in movies like "Kuch Kuch Hota Hai" and "Parzania" as a child artiste, feels honoured to work with actress #Madhoo_Shah of "Roja" fame in the short film #Pocket_Mummy. Madhoo's last Hindi film "Love U...Mr. Kalakaar!" came out in 2011, and now her Hindi short film "Pocket Mummy" will hit the screens on Mother's Day on Sunday. The Nitesh Ranglani directorial explores the relationship between a single mother and her son. 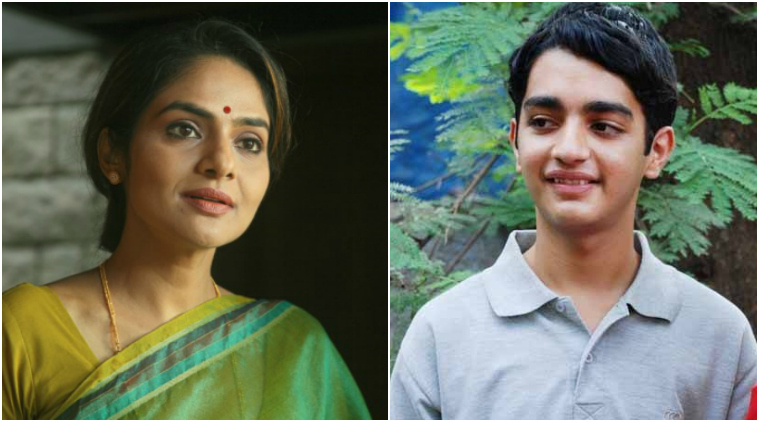 "It was an absolute honour and pleasure working with Madhoo ma'am. She is the perfect fit for a film like this. Being an independent working woman as well as a mother makes her the ideal role model for women in our country," Parzan told. "When we met her to talk about this film, we got along very well and the love and bond between the reel mother and son were very strong. I think she has performed beautifully and looks amazing. I'm sure the audience will appreciate the strong character she stands for," he added. Talking about the short film releasing on a digital platfrom, Ranglani says the medium has a large reach today. "'Pocket Mummy' is a very simple story, between a mother and a son, that everyone will relate to. I couldn't have got anyone better than Madhoo and Parzaan to play the parts. Madhoo had earlier worked with my dad (producer Vijay K. Ranglani) on ‘Yeshwant' and it feels great to direct her today. "Parzaan fits the character perfectly and both have done a wonderful job. Digital is a big medium today and we're hoping to reach out to as many people as possible with our labour of love," the director added.